When you really need to impress your guests, be they your boss or your mother-in-law, nothing has the wow-factor like a frenched rack of farmed venison. Cooked whole, served and carved at the table, your friends will be talking about it for weeks. Rich venison ragout with silky pasta. Easy steps to prepare a venison rump into medallions or a mini roast for 2. 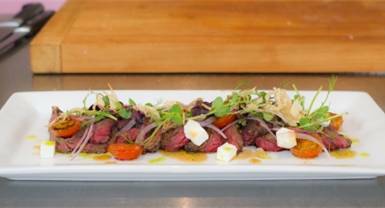 A summer salad using tender venison denver leg. It's easy to cook these delicious and succulent venison sausages at home. 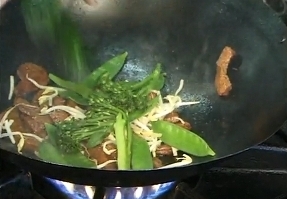 Watch Chef Graham Brown show you how. 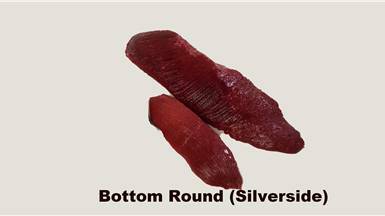 How to cut a venison silverside (bottom round) into steaks and medallions with no waste. Venison is so easy to cook. 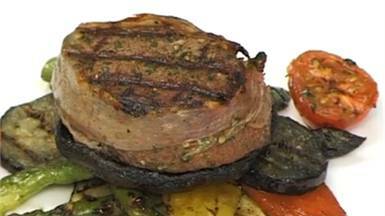 Watch this simple demo to learn how to make melt-in-your mouth tender venison steaks. But first, make sure you chose farm-raised New Zealand Venison. 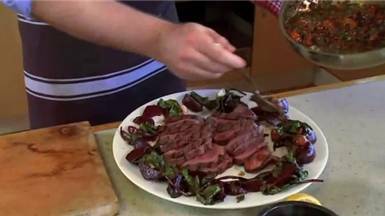 Chef Graham Brown shows how to prepare a quick and delicious Tagine using Cervena venison. Keeping the venison moist is the secret. Sear the cubes of Cervena venison, then rest while the sauce is prepared. 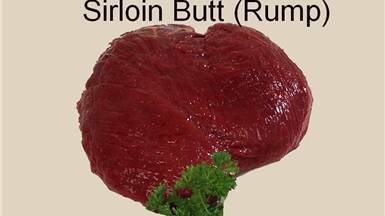 Add the succulent tender venison back to the mix at the end to avoid drying and over-cooking the venison.